Federal officials say there's nothing preventing Ottawa from leasing vessels from companies outside of the much-delayed national shipbuilding strategy. An internal analysis conducted last winter suggests the Liberal government could be open to the idea pending a review of the coast guard's many needs. The door has been opened just slightly to the possibility of the Liberal government leasing more ships in order to cover gaps in the navy and coast guard fleets, newly released documents reveal. Such a strategy has the potential to undermine the spirit of the national shipbuilding strategy, but in a report obtained by CBC News, federal officials argue there's nothing in its exclusive arrangements with Irving Shipbuilding in Halifax and Seaspan in Vancouver that prohibits renting vessels. 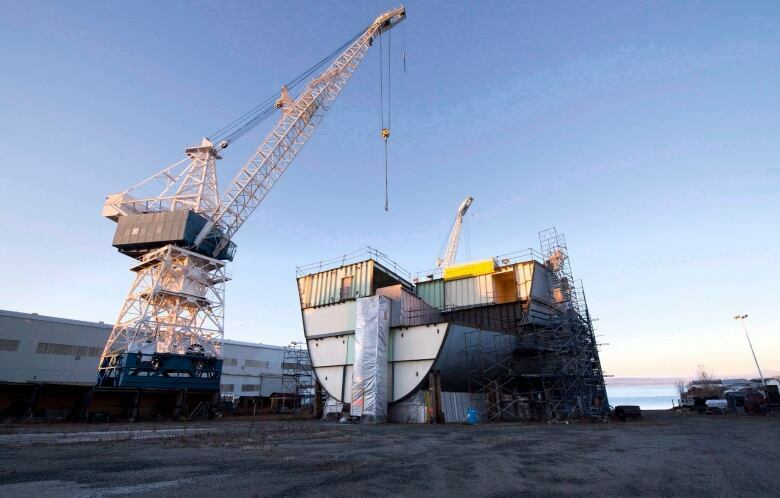 "While the [national shipbuilding strategy] focuses on circumstances where Canada is building new vessels, it does not directly address situations where a ship would be leased," said a Feb. 26 memo to the deputy minister of Public Services and Procurement Canada. "In such cases, it would be appropriate and consistent with procurement regulations and policies to undertake a broad examination of options that may be available from suppliers before selecting the procurement method to meet the requirements." The comments were made following a pair of unsolicited bids dropped on the government by Quebec-based Chantier Davie Canada Inc., which was left out of the government's strategy. The shipyard's pitch — potentially worth up to $1.7 billion — was to either sell or lease icebreakers and multipurpose ships for the coast guard. It offered to build three smaller so-called River-class icebreakers, two multipurpose ships and a Polar Class icebreaker, which could be used for scientific research, border patrol and search and rescue. Some of the ships were being built for the offshore oil and gas sector, but the collapse in energy prices led to their cancellation. Public Services Minister Judy Foote publicly rejected the proposal in March, but the analysis paints a more nuanced internal response. Officials told Foote they had performed an internal analysis, "but do not have sufficient information based on this proposal to complete a full assessment," said the briefing, obtained by the CBC under access to information legislation. The coast guard and Public Services would need more data on the proposal to do that assessment and it recommended "a broader examination of options" involving other suppliers. The analysis did suggest, however, that if federal officials were interested in any of the ships, it would be the three light icebreakers. It noted the coast guard was in the process of reviewing what ships it needed for the future. Some experts have warned that the service is facing a critical gap, particularly with icebreaking. A review of the Transportation Act tabled in Parliament a few months ago warned the service was in sorry shape. "Not only is it understaffed, but its fleet is one of the oldest in the world and urgently requires renewal (individual ships average nearly 34 years of age)," said the legislated review, which was led by former Conservative cabinet minister David Emerson. "Without such renewal, it will have to pull ships from service, further reducing reliability." Irving Shipbuilding issued a statement on Tuesday, giving the federal government qualified support should it want to go down the leasing road. The company "fully supports the government's commitment to providing the navy and coast guard with the tools they need to operate successfully. If there are needs identified outside [the national shipbuilding strategy], we would encourage an open and fair competition to ensure Canada gets the best value for the taxpayer dollar." Davie said it can fill the icebreaker gaps without disrupting the government's current programs. "It is very encouraging that the (government of Canada) recognizes that there are operational gaps that need to be filled and are willing to consider innovative ways to meet their needs through other Canadian solutions," Davie said in a statement. Under the shipbuilding strategy, the federal government entered into an arrangement with Irving to build combat ships and Seaspan to construct civilian and non-combat vessels. But there has been five years of preparatory work to bring the yards up to scratch and vessels are only now being constructed. 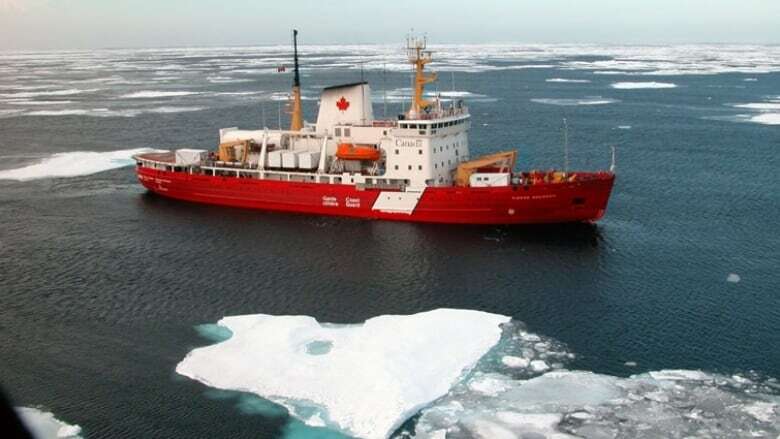 Seaspan is slated to build a Polar Class icebreaker, research vessels and the navy's new supply ships. But they are still years away from completion, and the Davie pitch was seen as an attempt to undermine the plan. Ever since being shut out of the shipbuilding strategy, Davie has been searching for a way to drum up business with the federal government. It proposed and won a contract to lease an interim supply ship to National Defence. Separately, Irving has also pitched the government on the idea of a leased humanitarian ship for the military.